What an exciting time of year. Everyday there seems to be something to notice around the farm. For example, the poplar poles have sprung to life. These Maori potatoes are on their way. I put these hazelnuts in during winter and now they are leafing out. In fact, the plants are growing so fast that we have engaged the help of Goat Buster to keep on top of the weeds. Other signs of spring, Amelia the muscovy is sitting on a next. I also picked up a muscovy family on my way home this week. The bees know it’s spring. I have installed this gate to allow the lambs to access fresh grass un-grazed by their mums. This is part of the weaning process. It works for three year-olds too. 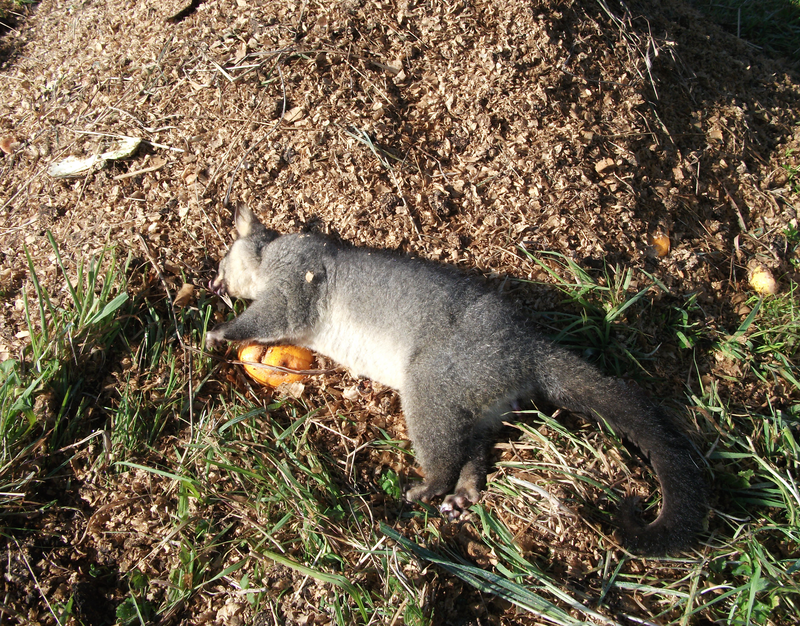 Unfortunately, spring also means increased possum activity. With 130 fruit trees in the ground, we need to be on the defensive. This one is about to be mixed into the compost heap.